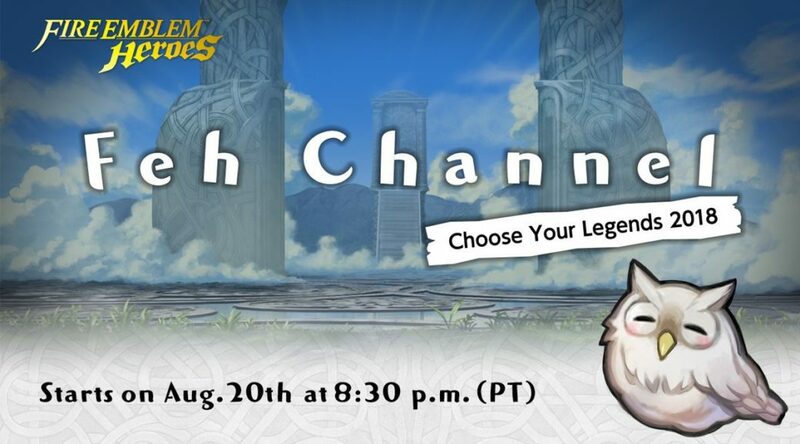 Nintendo of America has announced a new Feh Channel: Choose Your Legends 2018 broadcast for Fire Emblem Heroes. The broadcast will start on August 20, 2018 at 8:30pm Pacific Time. We can probably expect to see new heroes announced during the broadcast.